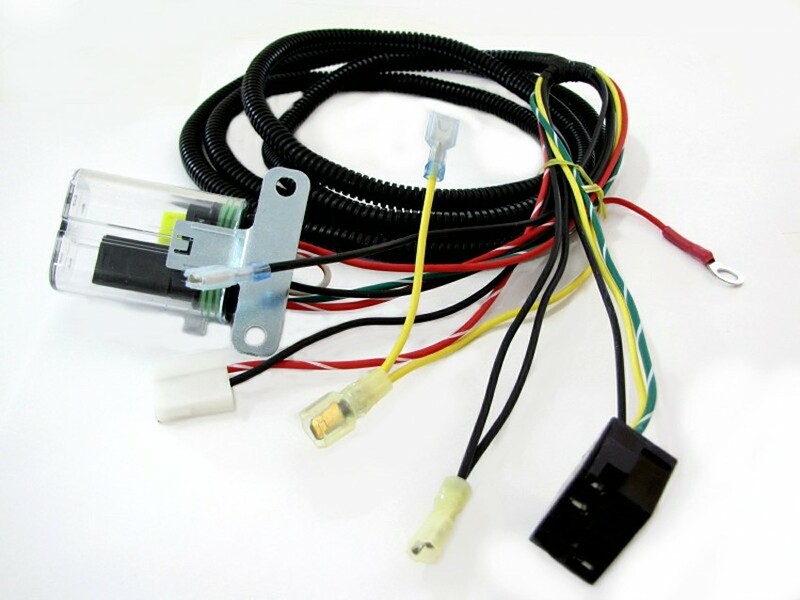 Extracts engine and brake heat from the engine compartment keeping body plastics and the transmission cooler also reduces the chance of the engine overheating. 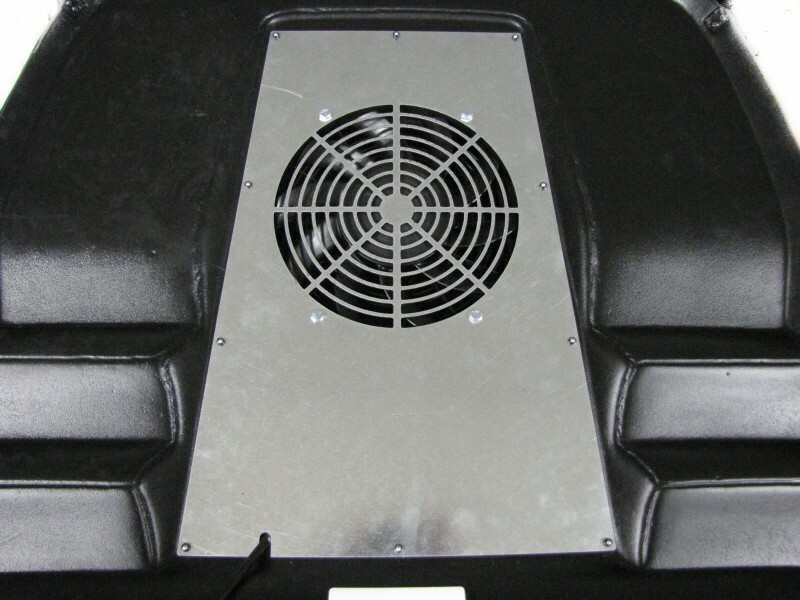 Highly recommended for mud and deep snow applications where speed is under 10mph and there is little air flow being pushed through the hood scoop. 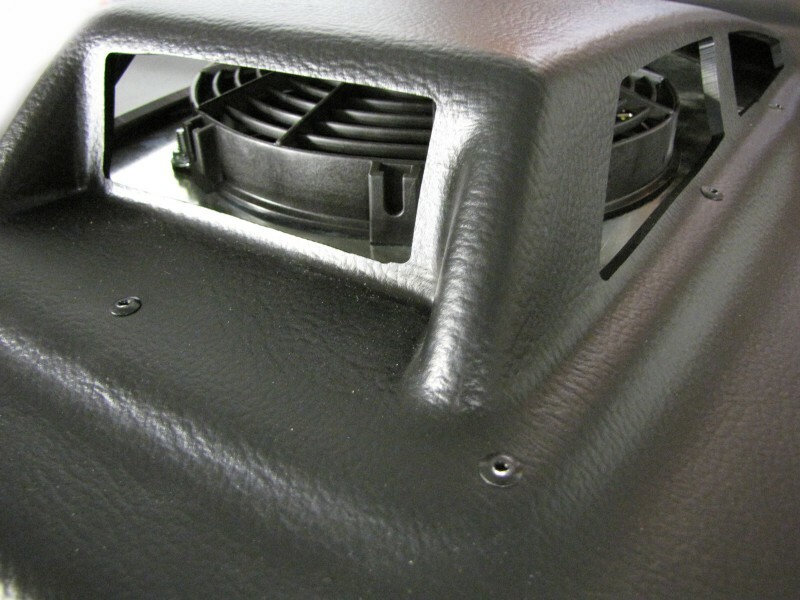 This fan is a must on the air-cooled models above if you live in high humidity or temperature areas such as Arizona, Florida, Louisiana, or Texas. 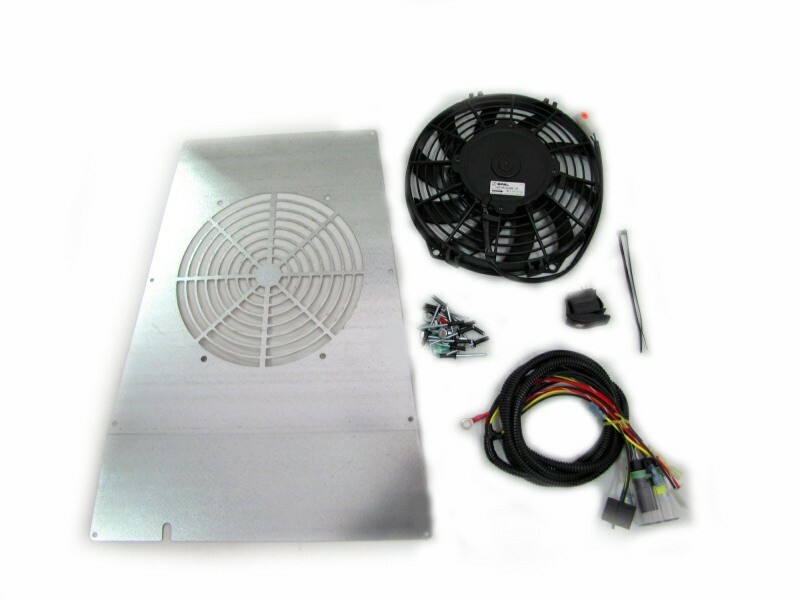 This fan kit will only work on the above models that already have the hood with the intake scoop molded on it. 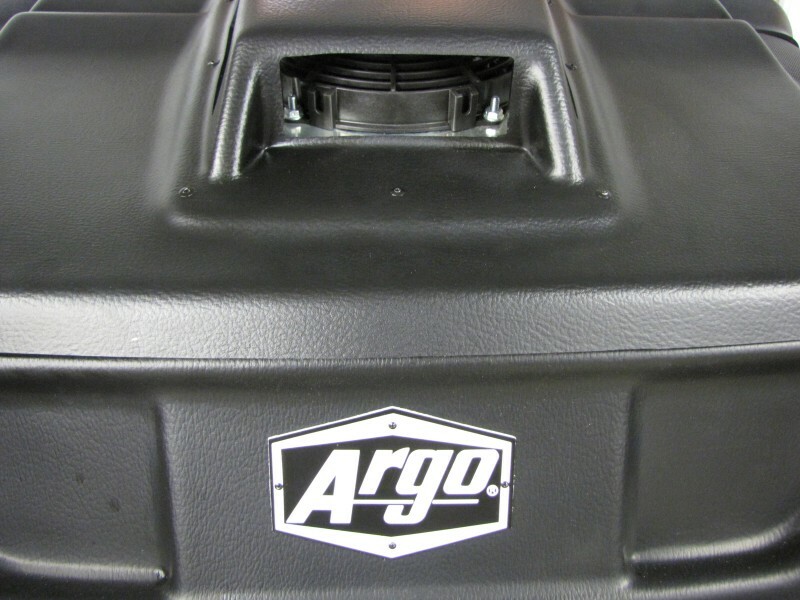 Argo does not offer a add-on scoop for models manufactured prior to 2015. The only option is to replace the hood with the scoop style. Copyright Argo Adventure. All Rights Reserved.